Thank you to each staffer for providing this information! I so appreciate the GIFT of life especially since my life began as an unplanned pregnancy! I was placed for adoption as a newborn. I understand what it’s like to be in the valley of crisis. As a teen, I had 2 crisis pregnancies. In one case I courageously chose life, and in the other, I caved in to the hopeless choice of abortion. I was a single mom for 7 years, working 2 jobs to make ends meet. During the week I worked in the office at a manufacturing company. I began doing data entry & worked my way up to having my own department of eleven employees when I was 21. I also worked weekends as a waitress & went to college at night. I began the exciting journey of Spiritual Life at the age of 30, when I accepted Christ into my life! As I began digging into God’s Word, my mind & heart were changed, and my eyes were opened to many new things, including the value of human life, at all stages. It was then I began grieving & also healing. My preparation for being the Executive Director of Grace House was the Word of God & the classroom of life. After over 20 years of in-depth Bible study & lay-ministry, God called me help bring forth this ministry He’d conceived. We opened Grace House in January of 2001. ‘ll never forget calling my husband to ask him if he minded if I were the person to sign our first rental lease. He asked me how we’d pay the rent. I told him I didn’t know but I knew God was calling us to open the center at this time & in this place. He said, “Then do it!” It’s been an amazing walk of faith all the way! After being a volunteer board member for 4 years, the Board & I sensed God was calling me to assume responsibility to direct the daily operations of the ministry. I became the Executive Director in 2003. I am passionate about sharing the value & source of life as well as sharing God’s plan of salvation & biblical truth with others. This ministry of LIFE & the GOSPEL is my passion and calling. Rod & I have been married since 1982 & have 2 grown sons, and 2 teenage granddaughters. Daily, I seek to submit to God’s authority, wisdom, and will to carry out His heart’s desires for Grace House. During my years of secular employment I saw the consequences of bad behavior or poor choices. My husband and I began working with teens since about the time we were married. We either led youth groups or served as youth leaders. Over the last 15 yrs or so I really started developing a heart for the teen girls, teaching small teens, especially on the choices we make. I knew I was nearing a retirement for years of service in my current job and began praying about where God would lead me., and especially in a field where I could use the passions He had already given me. 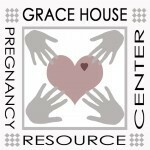 So after my retirement for years of service I volunteered at a pregnancy center & when Grace House East was forming, I was hired as the Center (Client Services)Director. God has really blessed me. I have grown spiritually & become bolder in my faith. I know that I am doing exactly what God has called me to do. I see God’s hand at work in so many ways: in the lives of the young women & men that put their trust in Christ, in answered prayer, & in provisions for the ministry. What a Blessing!! I graduated from Hudson High School. 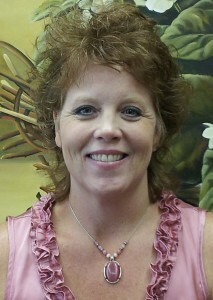 I worked for Barnett Bank for 15 years & then was a stay at home mom for 10 years. I served as a Grace House Volunteer for a few years before coming on staff for Grace House. My passion to volunteer & work here just came from a Passion for LIFE. I wanted to do something bigger than my own self.